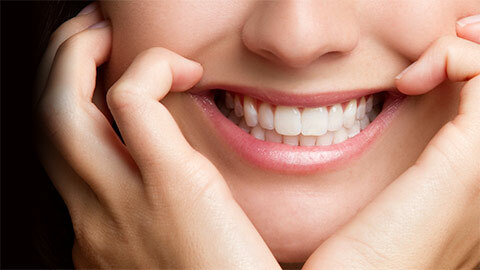 Restorative dental services provide treatments to repair damage and decay to your teeth. If you have cavities, chipped or broken teeth, or if you've lost a tooth, we can provide you with a solution to restore your smile. Modern restorations are strong, natural-looking and shaped to match the look and colour of your existing teeth. If you have a cavity, we'll use a filling to repair the damage to your tooth and restore it to health. Modern fillings are made of extremely strong ceramic or resin compounds, and they are colour-matched to the surrounding enamel. If one of your teeth gets seriously damaged and it can't be restored with other methods, we can replace it with a synthetic crown. Crowns are made from ceramic or porcelain and they are designed to match the shape and colour of the surrounding teeth. Crowns can be placed over an existing tooth or they can be attached to a dental implant. Modern crowns are very strong and can last ten years or longer. Crowns are recommended to protect any tooth that's had a root canal treatment. Inlays are synthetic restorations for teeth that can't be repaired with fillings. An inlay fills the "valleys" between the cusps of your teeth (your cusps are the "points" on your teeth), and is colour-matched to your enamel. Onlays are similar to inlays, except they are used to restore the cusps of your teeth to restore your biting strength. Onlays are very strong to resist the pressure of biting. A bridge is used to fill in a gap between teeth left by one or more missing teeth. 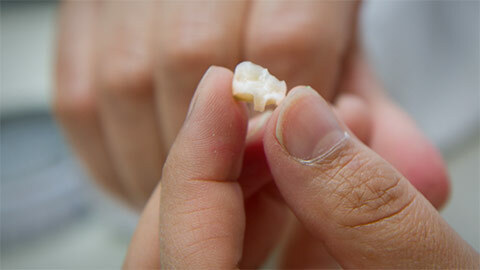 It consists of a synthetic tooth (or teeth) affixed to the natural teeth on either side of the gap. Bridges are shaped and coloured to blend in with the surrounding teeth. We believe that restorations should be as natural-looking and natural-feeling as possible. If you'd like to restore your smile, contact us today.